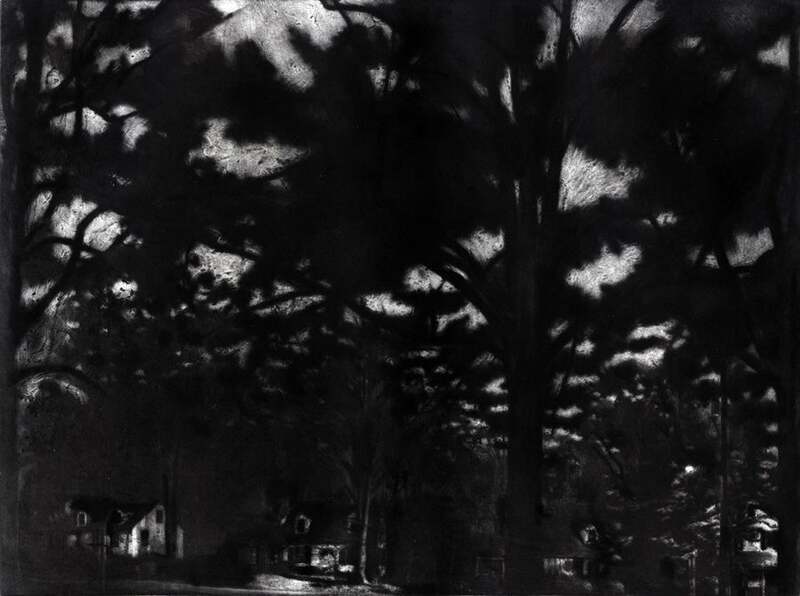 A exhibition of works at The Allen Memorial Art Museum, Oberlin College, Ohio includes the print, Night I. The show, entitled Time Well Spent: Art and Temporality, will be on view from 26 July to 23 December 2016. The artist will discuss time as a touchstone for his work in a public lecture on Tuesday, 13 September from 2:30pm – 4:00pm. Night I, 2005, image: 11 7/8 x 15 3/4", sheet: 15 1/8 x 22 3/8", soapground aquatint and mezzotint on Rives BFK paper, published with the Corcoran 2005 Print Portfolio: Drawn to Representation. Printed by James Stroud, Center Street Studio, Milton, Massachusetts.